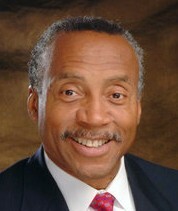 Info Judge John L. Braxton was born and raised in Philadelphia. He was educated in the Public Schools, and he went on to graduate from The Pennsylvania State University in 1966, and the Howard University School of Law in 1971. After graduating from Penn State, Judge Braxton served as a Lieutenant in the United States Army. He saw action in Vietnam from 1967 through 1968; and, he was awarded the Bronze Star with an Oak Leaf Cluster for Meritorious Service. Returning to Philadelphia after graduation from Howard, Judge Braxton joined the firm of Wolf, Block, Schorr and Solis-Cohen. In 1973, Judge Braxton formed his own firm where he stayed until 1976 when he joined Blue Cross of Greater Philadelphia as Associate Counsel. In 1978, District Attorney Ed Rendell appointed John Braxton to be the Chief of the Municipal Court Unit of the Office of the District Attorney of Philadelphia. In that office, he supervised a staff of 17 and was responsible for the prosecution of over 3,000 cases annually. In 1981, Judge Braxton was appointed by Governor Richard Thornburg to the Court of Common Pleas. He was later elected to a full ten year term, and was retained in 1991. He served on the Court until September 1995 when he resigned to run for Congress. Judge Braxton is presently an Arbitrator and Mediator. Judge Braxton serves his community and nation as a member of the Board of Governors of the American Red Cross, and he is the Treasurer of the National Bar Association. In his home state, he is a member of the board of Pennsylvania CASA, and he is Chairman of the Board of CASA of Philadelphia County. He is also a member of the Board of the Cradle of Liberty Council of the Boy Scouts of America. He is a member of the board of the Juvenile Law Center. He was the Chairman of the Board of Bearean Bank, and he served as the Chairman of the Board of the Penn-Jersey Region, American Red Cross Blood Services.